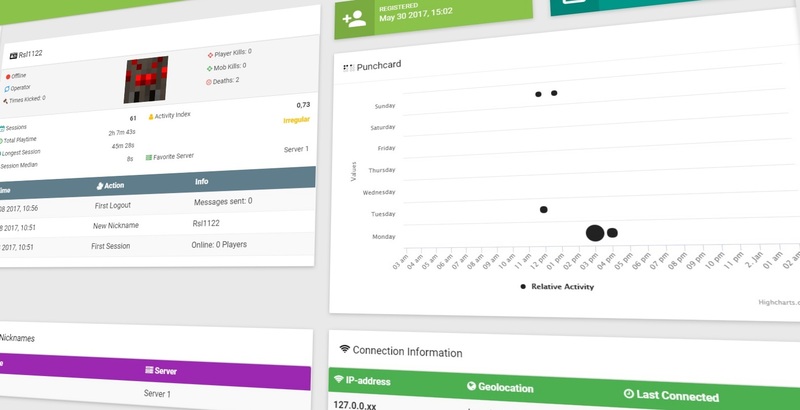 Player Analytics is the ultimate server staff tool to monitor how players are playing your server. It includes a Web View for Player Activity Graphs, Information, Lists and much more! The plugin gathers data to a local database (SQLite/MySQL/H2) via Listeners. This data is then analyzed on the spot and displayed via the WebServer. This is a port of Spigot version of the plugin. All of the Bukkit documentation on Github is valid for this version. This version works on all platforms. The WebServer can and should be secured with a login by installing HTTPS Certificate on the plugin. The WebServer will accept API requests from other Plan plugins that present a Server UUID present in the plugin’s database (Network functionality). bStats The plugin collects metrics such as plugin version with bStats. This can be disabled through bStats configuration. Version Check: The plugin will check for new version from Github on enable. This check can be disabled in the config. You can follow Bukkit Set-Up guide to install Plan on Sponge.